Killing Time is Back! Hiatus Ends; Project Re-boot Dave Begins! 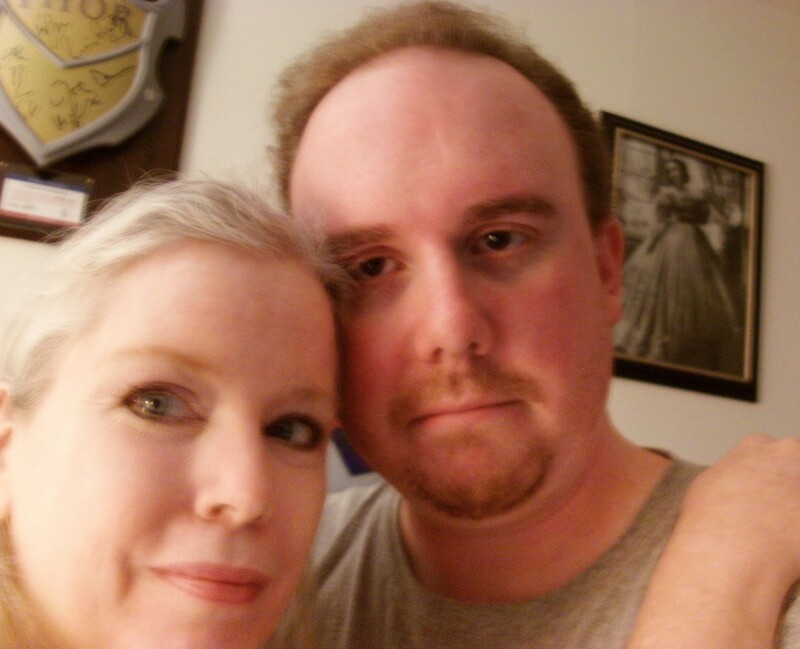 The last picture taken of my wife and myself. Killing Time is back after a month-long hiatus! While I’m excited by writing again and getting back to escaping into fantasy worlds aplenty, people have been so kind to me this last month that I wanted to give reality its due one more time before I resume my policy of keeping my personal life out of my writing altogether. So I’ll begin with an update. In the 26 days since my wife passed away, I’ve pretty much blown up my life. I resigned my position, I sold,donated, or tossed most of my possessions and 98% of the ones remaining have been placed into storage. For the last several years, I’ve taken on the role of care taker and it has been my honor. My wife was a spectacular person and I can’t even find words to describe to you how much I miss her. Caretakers fall, kind of by necessity, into a very regimented role and life. You don’t often deviate from the norm, nor go anywhere or do anything unplanned or spontaneity. To get though this, to even try to attempt to find another side, I needed to change literally everything I possibly could. She thought Killing Time was a great idea. She like reading the articles, arguing points of reviews and voting in the polls. She loved hearing what you all had to say, and she would have been as touched as I was by the responses to her obituary from site users. She was so happy that it was helpful in helping me to deal with her disease and more thrilled that I’m going to turn to it again to try to begin to heal after her death. I am traveling with my faithful pug Frodo. This week we’re in the Richmond area and I’ll keep you updated in the KT column on Thursdays as to where Frodo and I are and how we’re coping. Thank you so much to all my friends and family. Thank you for the cards and emails. Thank you for every thoughtful word and prayer here, by email, Tweet, Facebook message, etc. Each one was special to me and I didn’t respond directly, it’s not because I wasn’t touched. But, as this is my only job right now, I’ve got a lot of articles to write, media to review, and just generally try to get back to having fun while I’m killing time. Thanks for waiting for me and thanks for the support..